As you, my loyal readers know, I quit my job at Medtronic to be a stay-at-home fox with our two little cubs. As part of all this, Foxy Lady got a sweet job with the good folks at VF Corporation (who bring you fine apparel brands like The North Face, Timberland, Seven for All Mankind, Vans, Reef, and many more). It’s a great opportunity for her, but the one downside is that she travels a lot. That means that I find myself at home fairly often with the boys, needing to make dinner. I’m not completely helpless in the kitchen but I am no Foxy Lady (she is an amazing cook). Also, it’s hard when you have two little guys underfoot, not always being very cooperative. Hence I find on those occasions, sometimes premade meals work really well. My personal favorite is the frozen lasagna from Costco—really good and I highly recommend it. Now this post isn’t about premade meals for parents who are double-teamed by the ankle-biters, but premade meals got me thinking about premade investments. When I buy that frozen lasagna from Costco, one meal (enough for 4 people) costs about $8. That may not seem like much, but if you broke down the ingredients and added it all up, it actually starts to seem like a lot. There’s probably four lasagna noodles (my guess is that would cost $0.30 total if you bought them on their own), a quarter of a pound of cheese ($1), half a jar of sauce ($0.50), and a half pound of sausage ($2). If you could buy all that stuff separately for about $4, why is Costco charging me $8 for it? That’s a 100% markup!!! Obviously, there’s the whole convenience factor. I could make lasagna from its core ingredients, spending an hour or two preparing it, dirtying three or four pans, and probably screwing up at least two or three steps. Or, for a mere $4 more I can have someone else do all that and have it all ready for me. With lasagna I will pay the extra for someone else to do the work, but what about investments? In the financial world, individual bonds and individual stocks are the only “ingredients” that are really from “scratch”. Everything else is “premade” to a greater or lesser extent (no more words in “quotes” for at least 3 paragraphs). Mutual funds (or ETFs which are really the same thing)—the most common are mutual funds where someone else buys a bunch of stocks or bonds, mixes them all together into a portfolio and then you buy shares of that portfolio. Costs for mutual funds vary (as you have read here ad nauseam) but index mutual funds tend to have very low costs, probably the lowest cost investment you can get if you don’t do it from scratch (buy the stocks and bonds yourself). Target funds—this is a new innovation we talked about here. Basically they take the date you think you’ll need your money, when you plan to retire for instance, and they mix stock mutual funds and bond mutual funds to balance your asset allocation. So if you plan to retire in 30 years, you would get a 2045 target fund. Right now it is mostly in stock mutual funds since you have a long time until retirement but it will slowly shift that more to bonds and cash as you get closer to your target date. These are a “little more work” than regular mutual funds and they tend to cost a little more, about 0.25% compared to 0.10% for a stock index fund, but they still tend to be on the lower end of costs (dang, I couldn’t keep my promise). Whole life insurance—This is an investment vehicle that basically says something like “you give me $1000 per month and I will give you $500,000 when you die, when ever that happens to be.” Because it’s a certainty you’ll die, it’s a certainty that you’ll get that $500,000. In that way it acts like an investment. On the spectrum between from scratch and premade, it sits pretty far on the premade side of things. Basically someone is taking your money and investing it for you (along with all their thousands of other clients), and giving you money at the end of the game. There’s a huge element of uncertainty here, namely when you die, but if you use some basic probability calculations you can come up with a rough estimate of how much they charging you for this service. Brace yourself, because it’s a lot: about 4-5%, which is a ton when you compare it to the 0.1% that an index mutual fund charges. Remember the power of a single percentage? Here you’re talking 4%, so it’s a lot. Annuities—Whole life insurance’s bizarro cousin is an annuity. Basically you pay a bunch of money for an annuity, let’s say $500,000, and you get a monthly payment until you die, let’s say $1000 per month. So you can see there are a lot of similarities to whole life insurance in that the annuity company takes your money (along with all their thousands of other clients) and invests that money. They take those investments and pay you your monthly check. And you guessed it, similar to insurance the fees (after you tease out the uncertainty of when people die) are extremely high. Another negative (or positive, depending on your perspective) about premade investments is that you lose a lot of control in your investment choices. 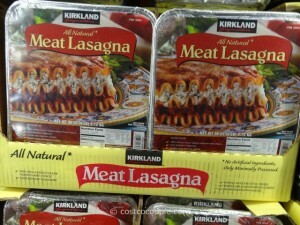 If you go back to my lasagna example, I don’t really have a lot of choice in the product that I purchase. If I really want gluten-free noodles, I’m out of luck; or non-pasteurized cheese, or humanely raised beef, or organic sauce. 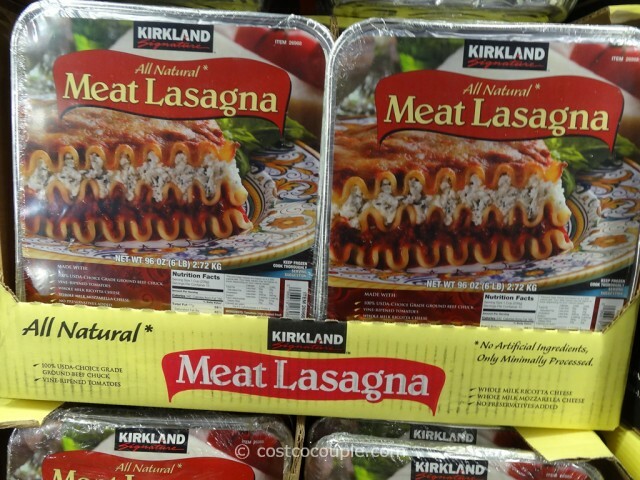 There are probably only five or six frozen lasagna choices out there, and the odds are super low that I can find a brand that perfectly aligns to my wants. When you get everything premade, you lose that choice. Similar with investing, the closer you get to the original ingredients (individual stocks and bonds), the more control you have. If you don’t want companies that sell tobacco (or alcohol or non-sustainable agriculture or fracking or . . . ) you can make that choice; with annuities or life insurance or other “premade investments” you kind of take what they give you. Sure you can vote with your feet, but I think you’d have a hard time finding an annuity company that does invest in the four things you like but not the two that you don’t. Maybe that choice is important to you, and maybe it’s not. With lasagna I really don’t care—conventional or organic really doesn’t matter to me. With investing I do care because I know that things like costs, diversification, and others matter a lot and I can manage those pretty easily. The point of all this is there’s a whole range of costs that go along with investments. As you know, I am a hawk on investing expenses, as I think it’s one of the main ways you can really move the needle on increasing your returns. But not everyone is like me. And just because something is expensive doesn’t mean it’s not worth it; it’s all about the value you get. So coming full circle, I am willing to pay almost double to have someone make the lasagna for me so I can just pop it in the oven. It’s about $4 and to me it’s totally worth it. I don’t have the time or the skill or the energy to futz around with that while two little boys are trying to play kiddie golf in the living room. Of course there are some who, when faced with that choice, go with the less-expensive but more time-intensive option of making the lasagna from the core ingredients. Investing is the same way. You can have someone do it all for you. The extreme example is an annuity where you give them all your money and they manage it for you and give you a monthly check. That’s a pretty worry-free approach. But it’s expensive. If you make that choice, there’s nothing wrong with it. Just make sure you are making an informed choice.